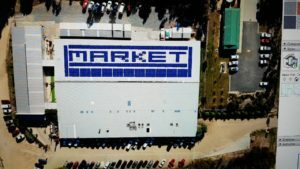 Mark Ward (Amazing Mill Markets owner) would like to give an update on the massive solar installation work at Daylesford. On Friday he was informed that the quarter of a million dollar works will commence, with no interruption to stallholders, within two weeks and it will take approximately four weeks for the project to be completed. The massive size of the Daylesford site and the amount of power usage it generates now was always a major concern for Mark, as electricity prices will inevitably increase in the future. This decision will consolidate us in a situation where we will now be able to cap our power prices moving forward.